Um… except for an adaptation of Rent that decides it’s acceptable to exchange “AIDS” for “Zombie virus”, that can just die in the hottest possible fires for all eternity. I actually like how hostile they are to her, if anything it’s not enough. Because she’s not offering to join the group, she’s offering to replace Mama Leone and lead them - this woman who none of them knows. Why should they embrace her? And even if she is well meaning, what does she actually bring to the group? Mama Leone had contacts, a network, knowledge and respect- what does Liv bring? So she has to prove herself -which she does with theatre. There are some recently smuggled humans about to die in a shipping container because the people meant to get them out have run away with Renegade’s death. 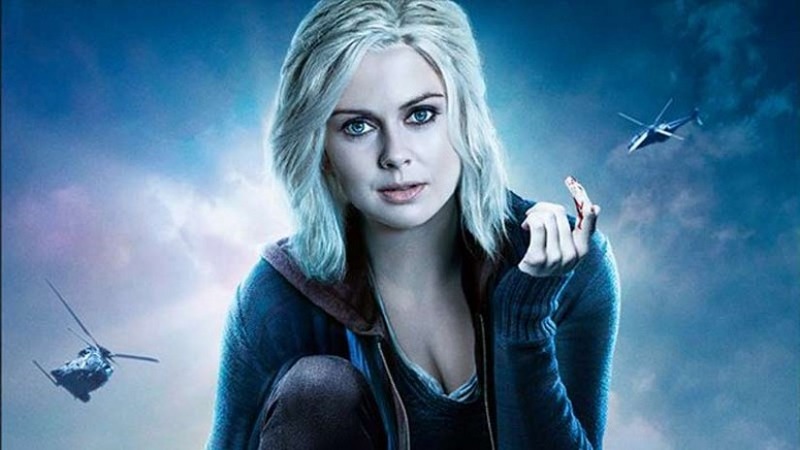 Treating it as a play she sets out a perfectly executed plot, involving lots of plots, Rose McIver’s real accent, and a character who better be a lesbian after the lesbian joke. Oh yes, hot film-maker guy/Liv’s next love interest is filming all of this highly illegal activity for good PR but mainly so we can have a big dramatic scene where Liv is exposed. That’s my bet. But it does make a good scene proving her commitment. After this plan succeeds, hot film-maker guy calls Liv Renegade. I am not ready for this even if it is flirting. And he gives her the applications of the hundreds of desperate people wanting to come to New Seattle - and they have capacity for 3. Angus even offers to forgive Blaine. Since Blaine was abused as a child by his dad… well.. That statement is NOT well received at all. Only Angus’s flock stops Blaine attacking him. I would have thought just reporting the Prophet to Chase Graves would make some difference - there’s no way Fillmore Graves can be happy about this. Ok… Liv proved herself… did she? I mean her plan was excellent, but it was done with Rachel Bloom’s brain. If anything this only shows that a zombie eating whole brains is unpredictable as a leader. On top of that for people who near revered Mama Leone, I think I want more than one episode before they replace her with a pushy white person none of them know. And I’m still really unsold on filming everything being a good idea. Really really not.